For data center cooling and more, exceed your critical cooling needs with the most reliable and most efficient chilled water system ever invented. 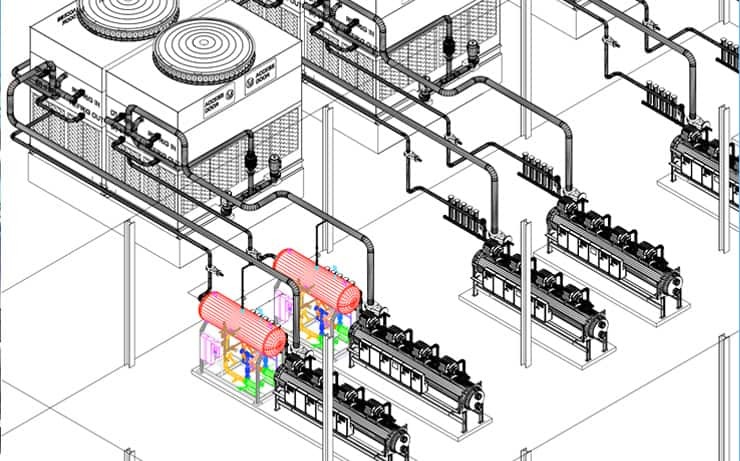 This critical chilling and cooling system includes Smardt Turbocor condenserless chillers, combined with the Evapco eco-evaporative condensers, and the most unique refrigerant side economizer allowing for simple year round data center cooling and more at full load, with energy models, and electrical infrastructure which are 25% to 50% below conventional designs. Data centers are often vulnerable to overheating without proper cooling and air conditioning, causing servers to shut down and potential loss of data. Overheating is capable of causing permanent damage to hardware that could result in more expenses on replacement equipment, and irretrievable data could result in significant downtime and hindrance to business. Thankfully, there are systems that are available from Bullock, Logan & Associates that can provide sufficient protection for your data centers. In addition to a wide range of industrial uses, our critical coolers and chillers are useful for data center air conditioning and cooling. Keep all of your servers protected from overheating and subsequent shutdowns using our complete data center cooling systems. 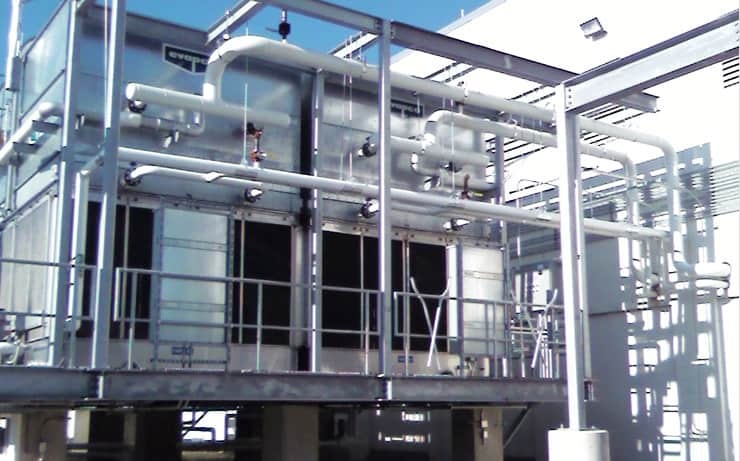 Data centers often require a high degree of attention regarding cooling than other types of facilities, and our Evapco condensers are ideal for use in these settings. You’ll be able to prevent system shutdowns with the use of our data center air conditioning systems that control airflow and keep your systems sufficiently cooled. Using our innovative data center cooling systems, you’ll benefit from more protection against overheating, with a better chance of avoiding data loss from server crashes. Our systems are also energy-efficient, helping ensure that you don’t spend more than you have to on data center air conditioning. Airflow will remain consistent in every application, keeping your equipment safe without the need to constantly adjust the equipment. 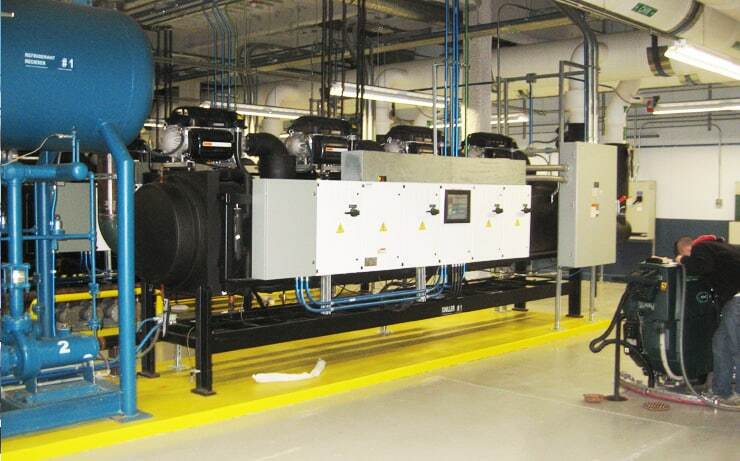 Whether you need critical cooling and chilling equipment for an industrial facility or a data center, Bullock, Logan & Associates has the systems you need for your facility. We’ll not only assist with installation, but we’ll also offer design assistance to help make sure you get the best system for your location. You won’t have to worry about working with a company that’s simply a provider of equipment with our variety of services behind you. If you would like to get started on the design, selection, and installation of critical coolers or chillers today, contact Bullock, Logan & Associates. We’re ready to help you with our combination of products and services, regardless of the application and your specific needs.